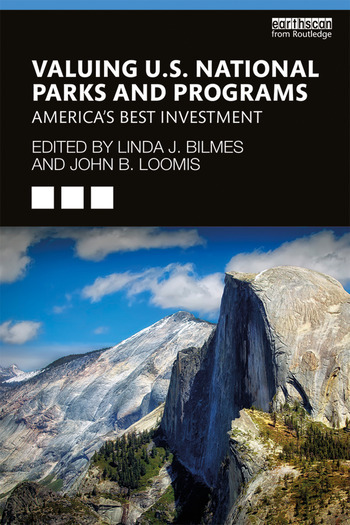 This book provides the first comprehensive economic valuation of US National Parks (including Monuments, Seashores, Lakeshores, Recreation Areas, Historic sites) and National Park Service (NPS) Programs. The book develops a comprehensive framework to calculate the economic value of protected areas, with particular application to the U.S. National Park Service. The framework covers many benefits provided by NPS units and programs, including on-site visitation, carbon sequestration and intellectual property such as in education curricula and filming of movies/TV shows, with case studies of each included. Examples are drawn from studies in Santa Monica Mountains National Recreation Area, Golden Gate National Recreation Area, Everglades National Park, and cooperative stakeholder management of Chesapeake Bay. The editors conclude with a chapter on innovative approaches for sustainable funding of the NPS in its second century. The framework serves as a blueprint of methodologies for conservationists, government agencies, land trusts, economists and others to value public lands, historical sites, and related programs, such as education. The methodologies are relevant to local and state parks, wildlife refuges, and protected areas in developed and developing countries as well as to national parks around the world. Containing a series of unique case studies, this book will be of great interest to professionals and students in environmental economics, land management and nature conservation, as well as the more general reader interested in National Parks.